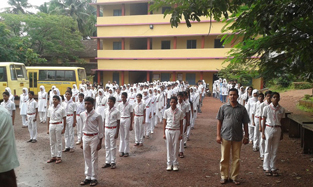 Seethi Sahib HSS is a very popular Higher Secondary School in Kannur District, established in 1968. There are about 3500 students studying in school now. 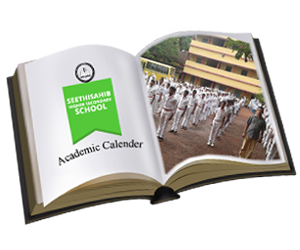 With the sincere efforts of the teachers, our school brings excellent results in SSLC and PLUS TWO exams each year. Our School have numerous achievements in extra curricular activities. Seethi Sahib HSS keeps the title of Championship in Sub-District Youth Festival competition for the last five years. Our students has proved their skills in sports too. We have won Inter School Cricket and Football Championship thrice. We provide all the facilities to our students thus helping to develop necessary skills for their bright future. Our aim is to help the student to strive for an all-round development in their education and future and thus changing their precious school days highly productive with the expanding horizon of knowledge. Our focus of education is to develop responsible young minds through academic excellence and we are proud that our entire community including teachers, staff, parents, board members and friends of the school collaborate so effectively towards this goal. Copyright © 2019 Seethi Sahib HSS. Powered by SoftUnique Creations Pvt Ltd.